Using laptops on the beach. With a Lounge-book and a good Wi-fi area you can use your laptop on sun recliner. 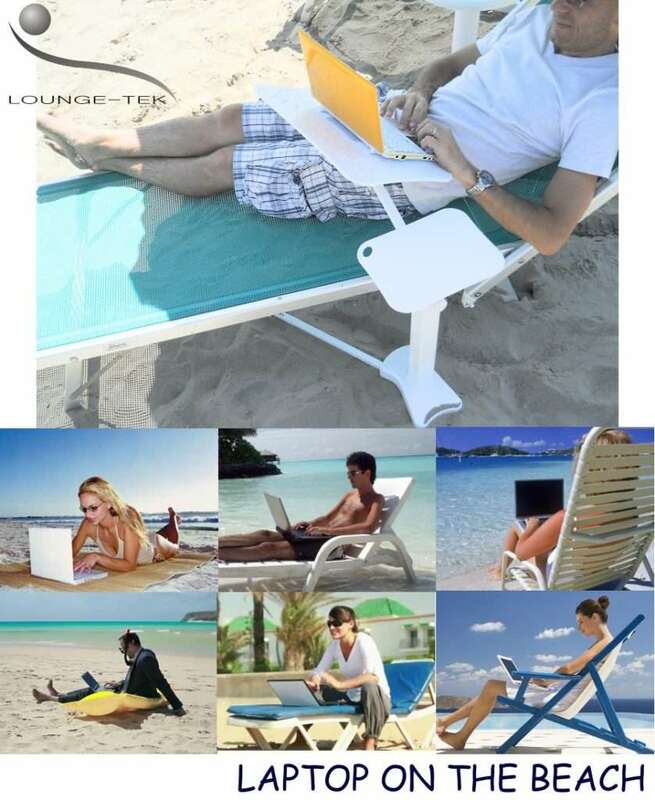 Lounge-book is a perfect support to enjoy computing also outdoor, for example in the garden or on the beach (it need umbrellas) It’s usual to see people that use Laptop or tablet on the beach, to work or communicate also on holidays…. but always with some difficult to support laptops with the naked legs…. here a collection of the wrong positions to use laptop we look daily …. We tested the support in two different beach both provided of the required Wi-Fi Area to assure the internet connection for guests. Balzi Rossi Beach in Liguria Italy, near “Cote d’azure” is not only sea but a fitness club on the beach. Every comfort, also the Lounge-book if you want to use your notebook in complete relax. Kontiki Beach in Romagna Italy, a traditional popular bathouse with a good restaurant on the sea. 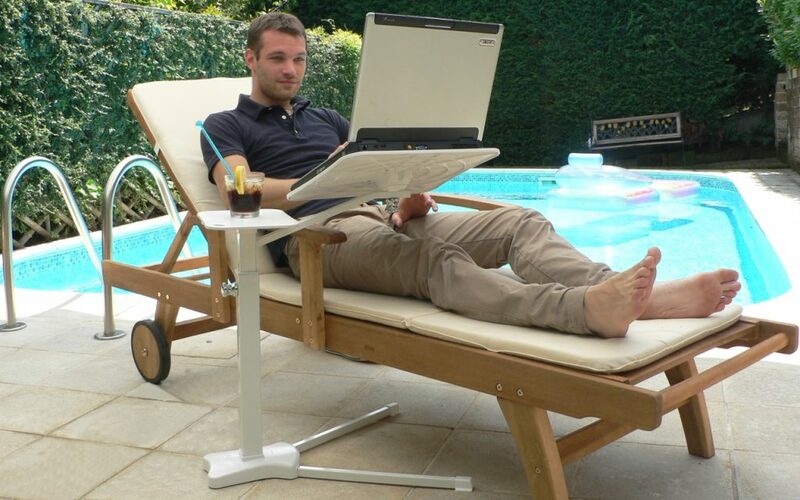 Lounge-book is the perfect support to use a laptop in the garden on the deckchair …….. better poolside with a cold drink over the Mousepad, it’s a good solution for home workers, to use laptop in the most relaxed situation. Lounge-book is a perfect furniture for computers also for the club house of the Yacht club, Golf club and more, like this photo taked on the Yacht Club in Porto Cervo Sardinia. A lot of people use the relaxing time to communicate or works with their laptop. Lounge-book was used also in the Lounge of the press room during the RC44 World Series in Malcesine, to allow a relaxed work for the journalist .